the band released their four-song EP direct to iTunes on 30 April. 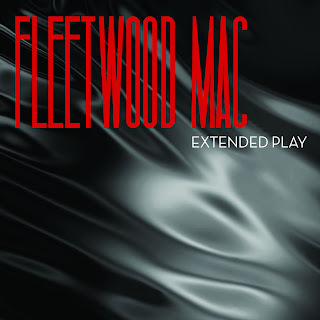 The release, simply titled Extended Play, comprises a quartet of tunes: three originals by Lindsey Buckingham and one by Stevie Nicks, written in 1973 when the pair were still the duo Buckingham Nicks. This is hardly a set of sexagenarians' basement tapes: Without You – not be confused with the Danny Kirwan-written Mac song of the same name – and Sad Angel are as shiny as Rumours, and even the lonely piano ballad, It Takes Time, has a dramatic synths/strings coda. Buckingham revealed plans for the EP at a gig in Philadelphia earlier this month – the band have been performing some of the new songs on their current tour. "It's the best stuff we've done in a long time," he said, promising that the record would be out "in a few days". It took a few weeks, instead, but within hours of appearing on iTunes, Extended Play had appeared in the digital shop's top 10 chart, though it has since dropped. "We all felt that it would be great to go into the studio and record new material before embarking on this tour and the result has been remarkable," Buckingham said in a statement. Nicks has previously indicated that Fleetwood Mac would only record another full-length if she felt certain fans would buy it. "Big, long albums don't seem to be what everybody wants these days," she told Billboard in February. "[Let's] see if the world does want more music from us … If we get that feeling, that they do want another 10 songs, we can reassess." One of Buckingham's new songs is an explicit response to Nicks's musical reticence. "At the moment [Sad Angel] was being written, I was really thinking about the fact that [Stevie] and I were not agreeing on the idea of an album," he recently told MSN. "The chorus is, 'Hello, sad angel, have you come to fight the war?' It goes on to talk about 'the crowd's calling out for more' … [Sad Angel and Miss Fantasy] are songs about Stevie and me." Prior to Extended Play, Fleetwood Mac's most recent new recording was the 2003 album Say You Will. That record reached No 6 on the UK album charts, and achieved gold sales, but fell well short of the band's commercial peak from 1975 to 1987. The band have sold more than 100m albums worldwide. Fleetwood Mac are currently in the midst of a North American tour, with plans to visit the UK and Europe this fall. I am a Long Time Fleetwood Mac Fan. These songs are so Bad I cannot even listen to them till the end. They sound like a tired old Lindsey Buckingham song. Too Bad.